Are we really over entitled…??? The report of the National Commission of Audit is released at 2pm Thursday 1 May and will propose radical cuts Commonwealth programs to end, in Treasurer Joe Hockey’s words, the “age of entitlement” and prevent budget spending climbing to $690 billion within a decade. It’s not as if Australians are, by the standards of the developed world, particularly over entitled. 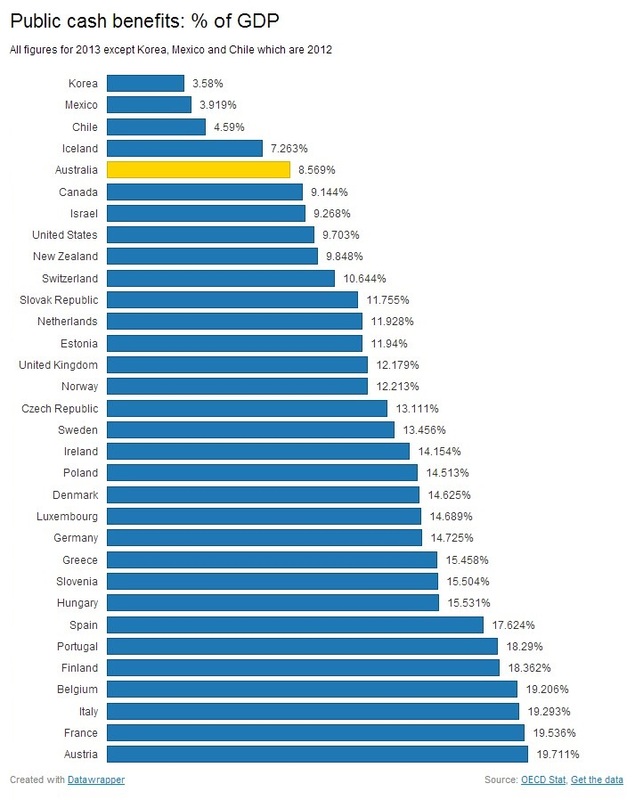 As Glenn Murray points out in this timely reality check, we actually spend less on welfare than all but four countries.